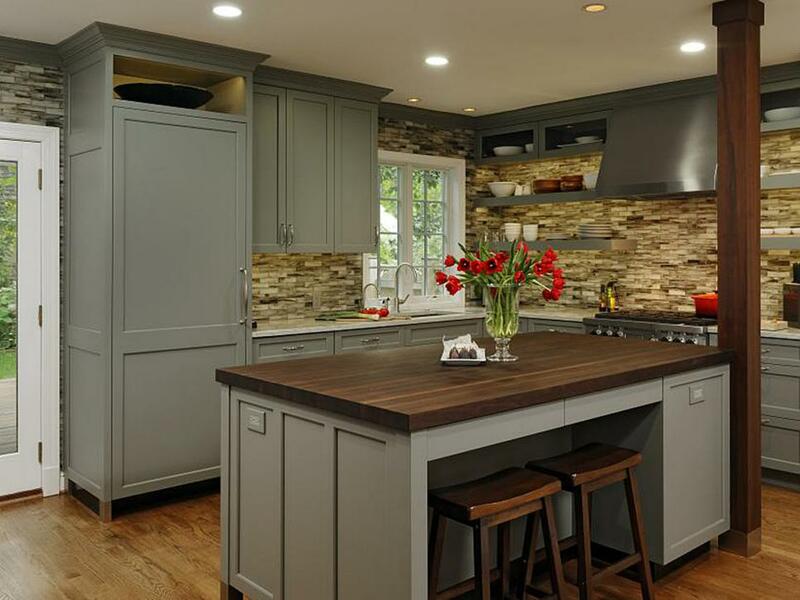 If your L-shaped kitchen could use a new look, get inspired by these before-and-after makeovers. These L-shaped kitchens were stuck in the past — until top designers got their hands on them. 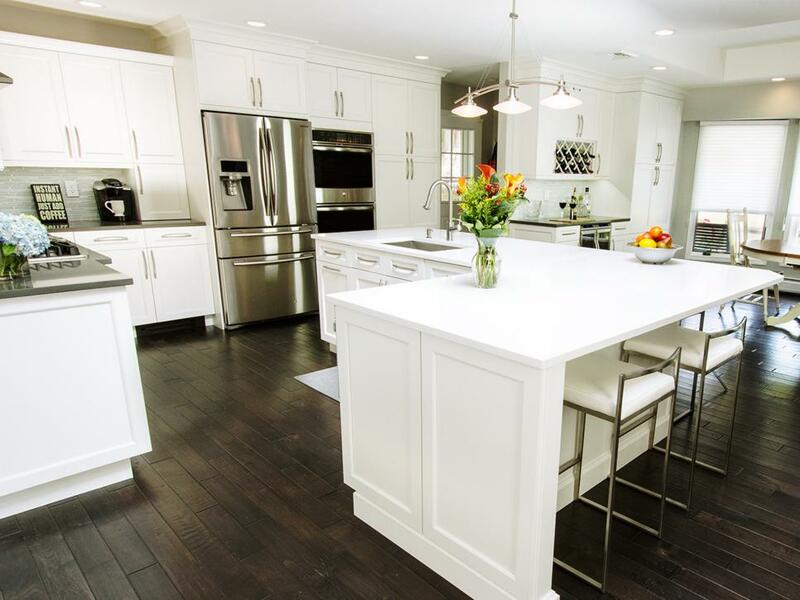 Browse the before-and-after photos, and learn how the designers brought out the best in these spaces. A home with considerable square footage did not utilize that space very well. 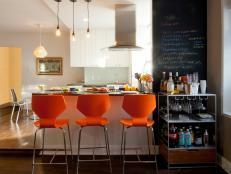 The kitchen was very small vis-à-vis the living room, and uneven ceiling heights contributed to the cramped feeling. 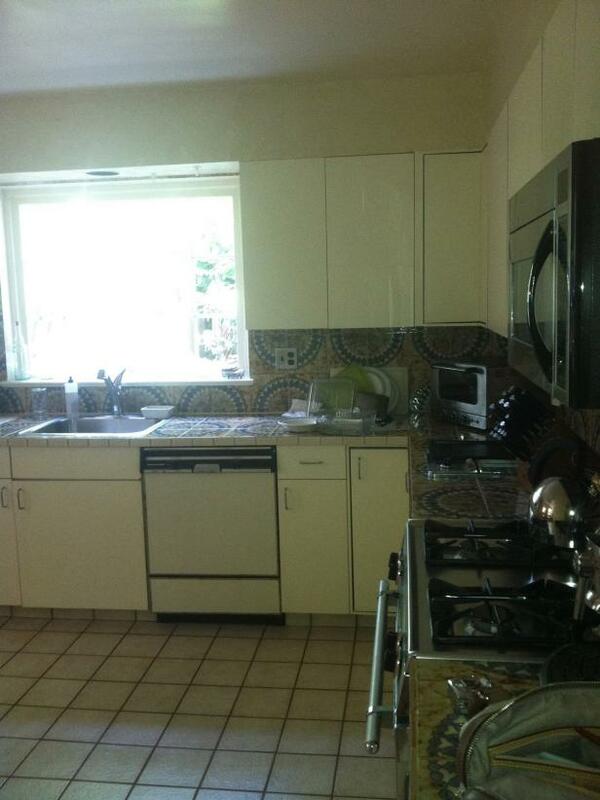 Appliances and finishes needed updating as well. 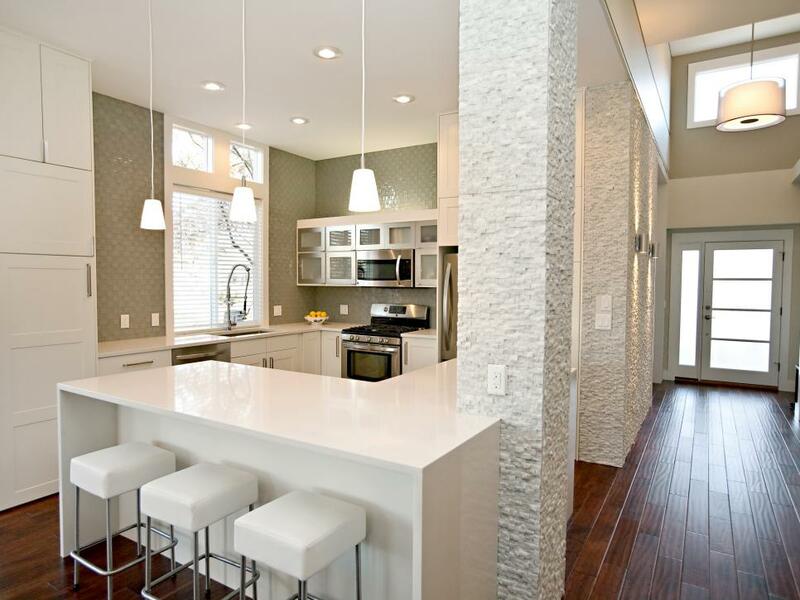 Designer Joe Human pushed back the existing wall to create a larger kitchen. 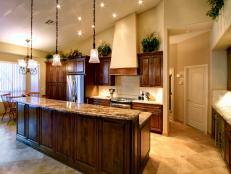 He also installed new appliances and added new finishes and cabinets. 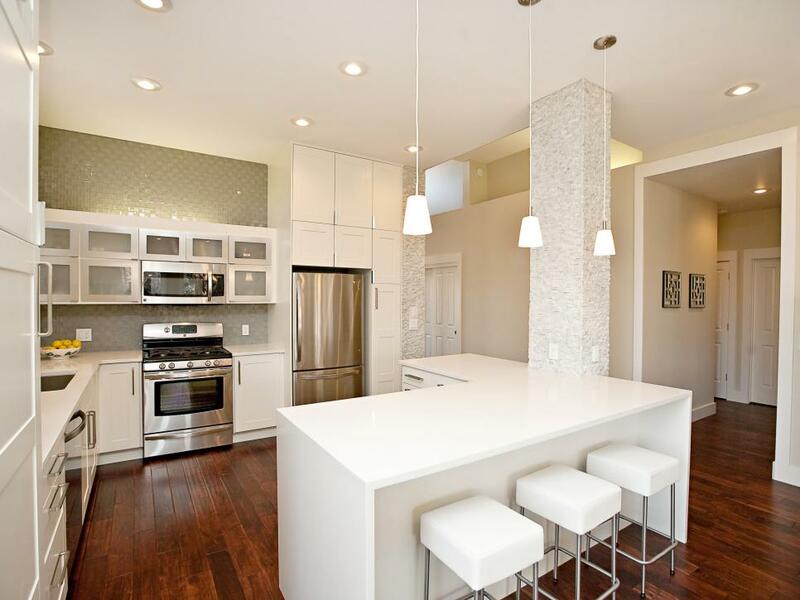 Spaces were unified via a consistent ceiling height that ushered in a larger, more cohesive feel. 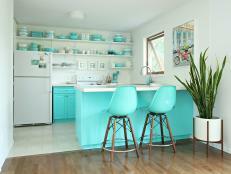 This 1970s-era kitchen begged for a total gut rehab. 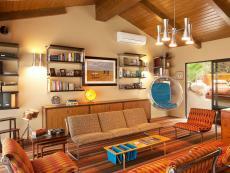 The room measured a tiny 132 square feet and featured tacky almond Formica countertops and matching ancient appliances. 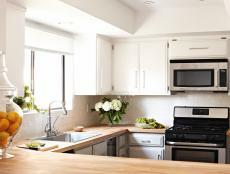 A redesign by Showcase Kitchens united dining room and kitchen into one 530-square-foot family-friendly space. 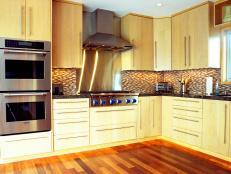 The refrigerator and double oven were built into the cabinetry, giving the room a seamless look. 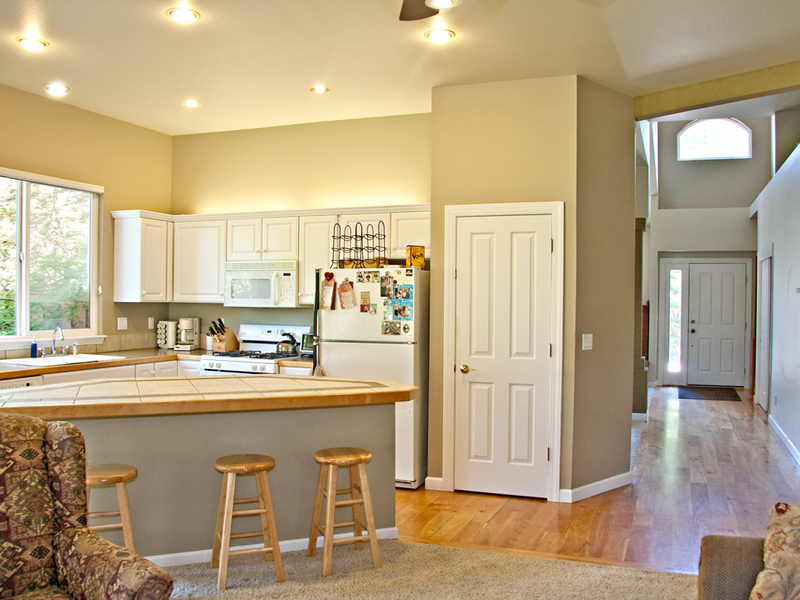 An oversized, L-shaped island features the kitchen sink. 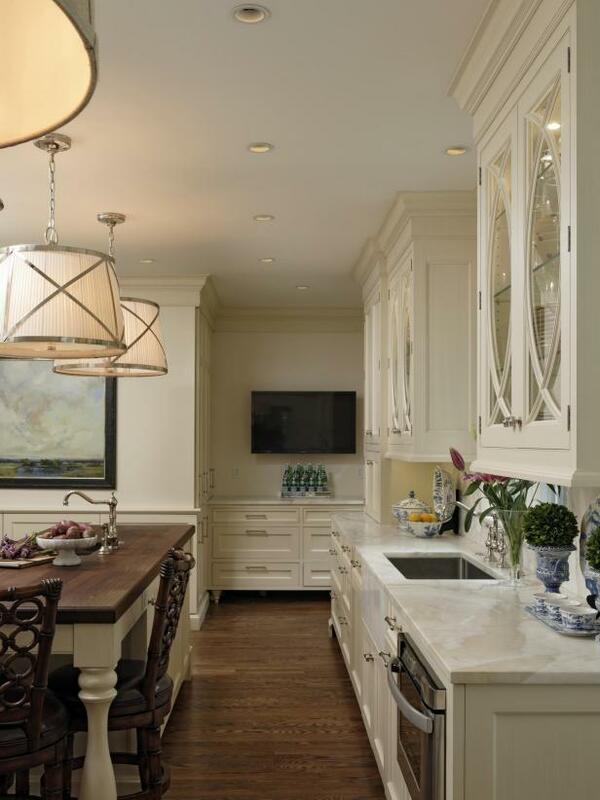 A decorative tray ceiling with recessed lighting completes the look. 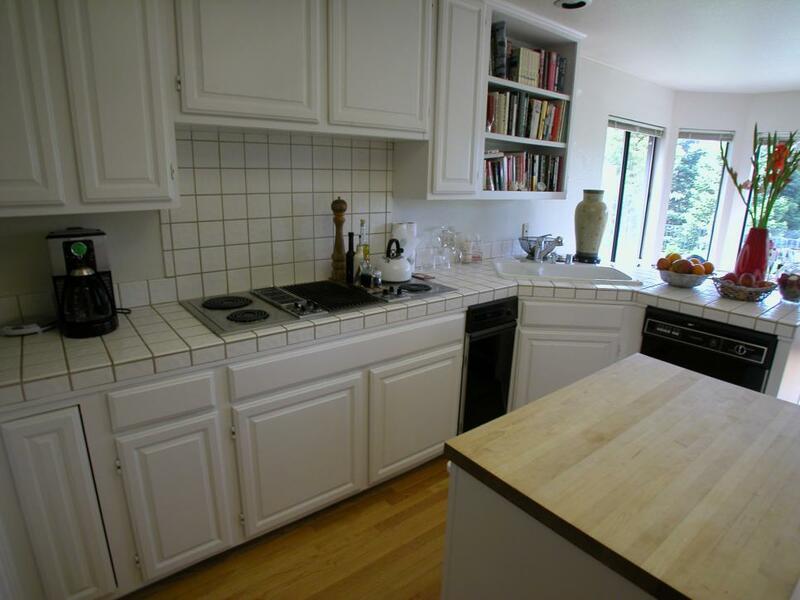 The original kitchen was part of a 1980s tract home occupied by empty nesters. 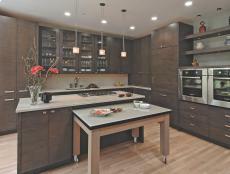 The dated, black-and-white cabinetry did not work for the occupants, who wished their kitchen had a more European look. 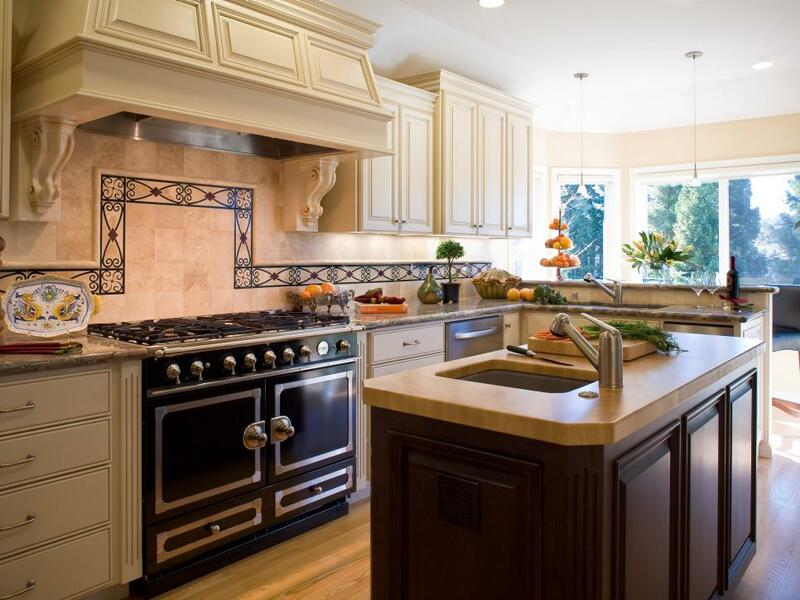 Gayler Construction gave the owners the look they were after with a European-style range with built-in hood and decorative corbels. A black and tan fleur de lys-like tile backsplash added uniqueness, while custom cabinetry, custom flooring and custom millwork enhanced the room’s Old World appeal. 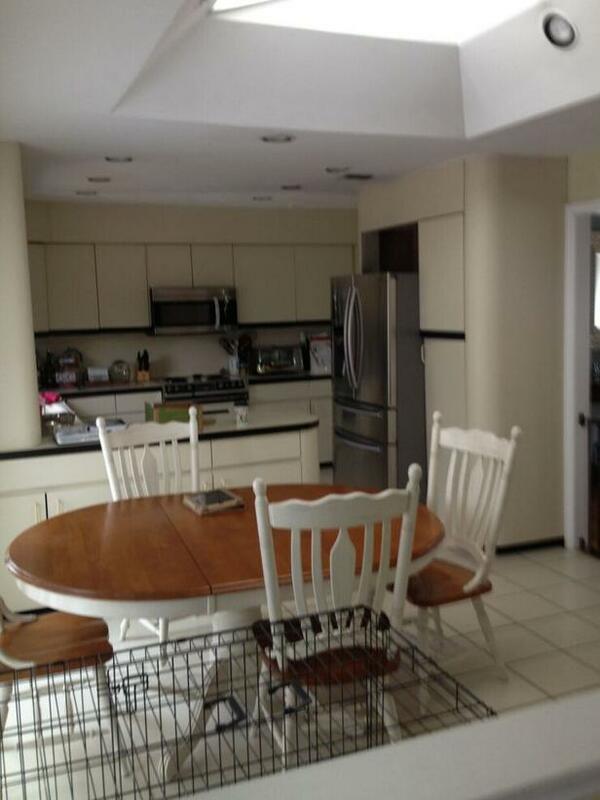 The former kitchen was a cramped U-shape. The lack of space contributed to difficult traffic flow. In addition, there was little function to this ill-formed kitchen. 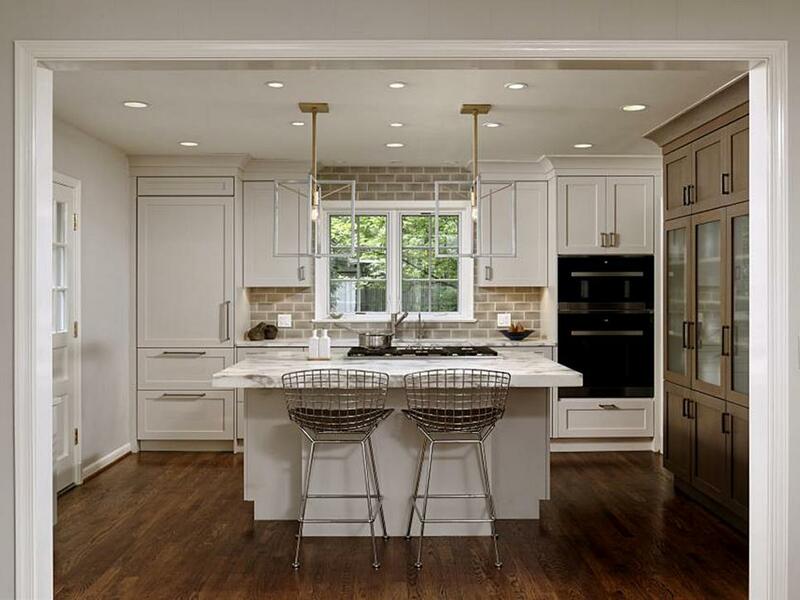 Jennifer Gilmer Kitchen & Bath removed a wall to turn the U-shaped kitchen into a far more functional L-shaped room. The transformation created space for a large island and continuous traffic flow. A required structural column was incorporated into the corner of the island, wrapped in Peruvian walnut to forge a unique architectural detail. 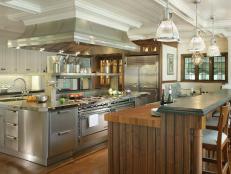 Prior to the renovation, the appliances were concentrated along a single 13-foot, nine-inch wall. The result was a kitchen with little room for usable storage. 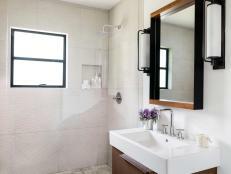 Jennifer Gilmer Kitchen & Bath boldly broke a design rule by locating the sink flush with the window’s right edge, keeping the faucet centered on the window. The result was establishment of a wide drawer base to the sink’s left, perfect for nesting bowls, pots, pans and small appliance storage. 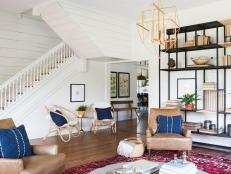 A floor-to-ceiling buffet concentrates dish storage, completing the L.
Before the renovation, the kitchen’s size was cut short by a narrow hallway, closet and mudroom that led to the backyard. 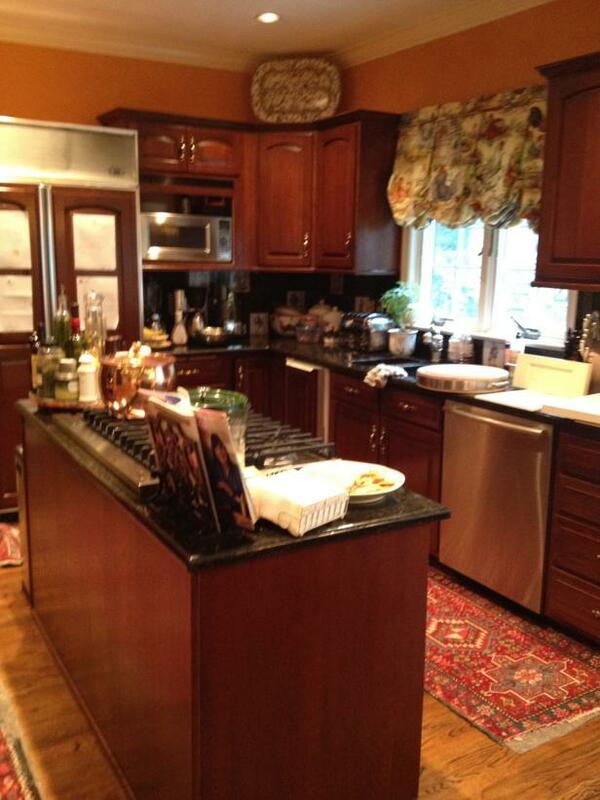 Appliances, hardware and finishes were dated, and the kitchen suffered from a dark appearance. 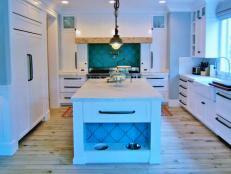 Incorporating the hallway, closet and mudroom within the kitchen increased the room’s size by 100 percent. 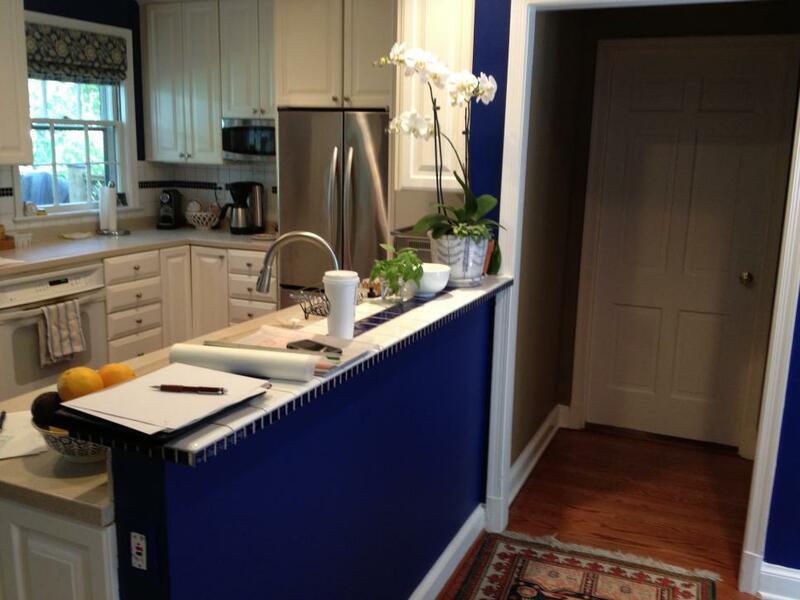 Jennifer Gilmer Kitchen & Bath transformed the entire side wall of the old mudroom into pantry storage with pullouts. The back wall resembles an elegant credenza, but also serves to provide valuable storage. The effect was lighter and larger.